like the 5 bags of trash we took out yesterday as a result of NYE at casa de Kennedy stink. like the loads of unwashed laundry that sat around for what seemed to be weeks until last night. I do not enjoy setting my alarm for 5am in the hopes [key word] of waking up, going to the gym, showering, and getting ready for work, and I do not enjoy being a crabby brat on the 2nd day of wedding year, I just don't. this winter vacation was so insanely awesome that I am disappointed to see it go. We spent time with family + friends and had not one, but two Christmases to enjoy this year. we hosted NYE2012 with some fabulous people. 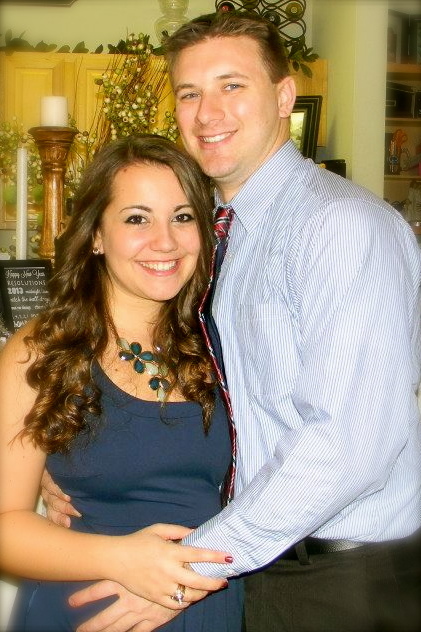 we rang in 2013 and are now less than 200 days away from becoming Mr. + Mrs. So why, oh why, must you be here now, today? I wasn't ready by any means to give any of my freedom/relaxation up............ and I still have a few unwatched episodes of Homeland to go. Not to mention, now that you're here, so is my "lifestyle makeover" round II. the before footage this go around is not pretty and I'm already so eager dreading my meals for the next 17 days, but I have convinced myself wearing my wedding dress, taking millions of pictures, and going on a honeymoon to Hawaii will be 10x better if I don't weigh as much as a small country. So with that, today, the birds flipped to you. clASSy or not, we all feel this way I'm sure. side note: hahahahaha - this, my friends, is what the aftermath of a confetti explosion at an apartment complex looks like... it has since been vacuumed [yes, vacuumed] away. some people just cannot handle their NYEs, can they? I'd love to meet the master behind this mishap. linking up with Shanna for random Wednesday + you should, too. Oh my gosh, yes....I took out SO much trash and have done so much laundry this week. I love this idea of a confetti explosion. Love the glitter explosion! And love love love that picture of you guys - so cute! Happy New Year! Our trash was epic this week. Found you through Random Wednesday! Cute blog. Loving the glitter! Haha. It's the exact reason we don't host parties like that at our house anymore...simply because I don't like cleaning them up. Girl....don't fret...you are FREAKING getting married!!!!!!!! Yahooooo!! And I want to be part of that glitter explosion!! !Oh yeah! Thanks so much for linking up again this week! Love ya! Your get-together sounds so fun! It's my personal opinion that confetti should be everywhere all the time! Dropping in from the link-up! haha - love that confetti explosion! The wedding will be here before you know it!